Ken has been in the Financial Services business since 1999. He enjoys what he does and likes to engage his clients in the planning and implementation process. Ken made his first investment into the market at age 18 and his first rental real estate transaction at age 23. Ken’s entire career has been centered on solutions for clients trying to keep more of what they earn. 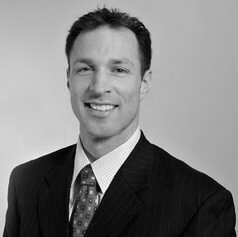 As an independent financial services provider, Ken is able to provide comprehensive guidance to his valued clients. His particular areas of focus are Insurance and Retirement planning. Ken focuses on working with small business owners. His approach is to concentrate on protecting the owners, their families, their employees, and their business. This can be done by making sure buy sell agreements are funded, key person insurance is in force and by reviewing the employee health/retirement benefits packages as well. Ken’s approach to retirement planning is comprehensive allowing clients to see multiple scenarios to achieve their retirement goals. He does this though efficient asset management, routine monitoring of goals, and making adjustments when needed. His retirement planning focus is two fold. The first is organization level implementation. He has provided retirement plan services for small to medium size companies with up to 500 employees. Once the plan is in place, Ken also works with the participants to develop long term financial goals. His other retirement plan niche is working with non-profit organizations and school district retirement plans (403B plans) for their employees. Similar to the profit sector, Ken’s specialty is providing lower cost retirement planning options. Ken takes pride in working with educators and school district staff members that educate the future generations of our country.